Working with TwentyThree Projects, we crafted a 6.6m high/3m long unit which included overhead spirit bottle shelving. We used 32x32mm tube and a black melamine base shelf clad with perforated metal sheet - all finished off with a satin black powder coat. 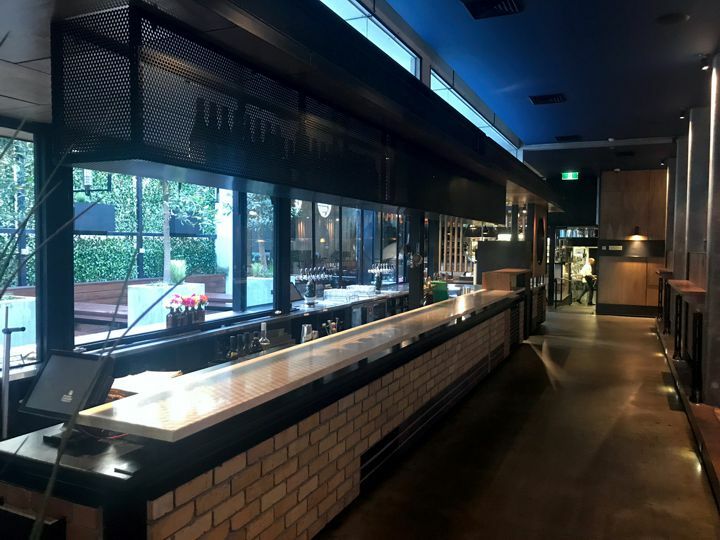 Pop in and check it out next time you're out for a drink in St Kilda!